Is the Hanbury Arms haunted? There has been quite an interest in the ghostly goings-on mentioned in my last posting. You might have seen the comment by Kirsty Mcinally about the Hanbury Arms. She asks whether I know anything about it being haunted. There was an interesting short piece by Natalie Crickett in September 2012 about the Hanbury Arms. I quote it below. “VODKA, brandy and whisky aren’t the only spirits at one Pontypool pub where so called ghosts have sent everyone from barmaids to builders running scared. 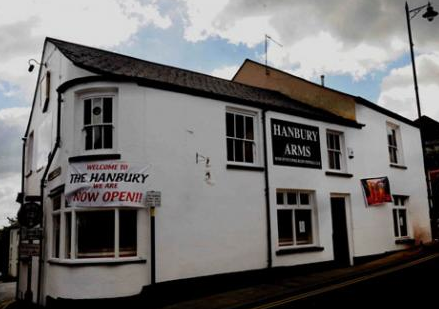 The souls of a little girl named Emily and a small boy in Victorian dress are said to be regular visitors to The Hanbury Arms, according to staff who don’t like being in the building alone. A man believed to a former executioner at the 1830s building where criminals were once hanged, is also said to be a frequent punter and staff believe they have captured evidence of their existence on videos, which show so called “orbs” of light darting about the bar. Glasses have spontaneously smashed, lights have been switched on when no-one is in the room and even a barrel of cider was split open in the locked and empty cellar. Even workmen refurbishing the building upstairs have downed tools claiming they have felt a bitterly cold presence whilst working, accompanied by an unexplained feeling of dread. Manager Rhian Phillips claims to have heard whispers coming from the empty cellar and refuses to enter certain parts of the pub alone, while other staff have reported a strong smell of garlic in specific spots. Since owner Sean O’Connor took over the pub last December three paranormal experts have visited and all have been convinced of the spirits presence. But Mr O’Connor and his business partner Mark Baker, both 47, are not fazed and have instead taken a keen interest in finding out more. Mr Baker has even ordered electrical magnetic field detectors, motion sensors and voice recorders from America in a bid to gather evidence. If you are interested in hearing more about this you can see two YouTube videos made by some ghost-hunting experts who took their gear to the Hanbury Arms and made some recordings. The URLs are printed below. If you click on them you should go straight to the videos. If this doesn’t work copy and paste the URL into your address bar. Recently I was speaking to a lady who lives in Penygarn who told me that she lives in a house that is about 400 years old. She also told me that she has seen a ghost in the house, or at least part of a ghost, namely just one leg. In the mid 1980’s, the occupier of a council house in James Street reported unexplained noises, doors and windows rattling, icey-cold sensations, crockery smashing and a shadowy figure was allegedly seen. The owners’ dogs would not settle in the house. The school is said to be haunted by the ghost of a nun, who walks the main stairs and has been witnessed by a teacher. The building was aquired by nuns in its early history, and it appears one of them wants to stay around! 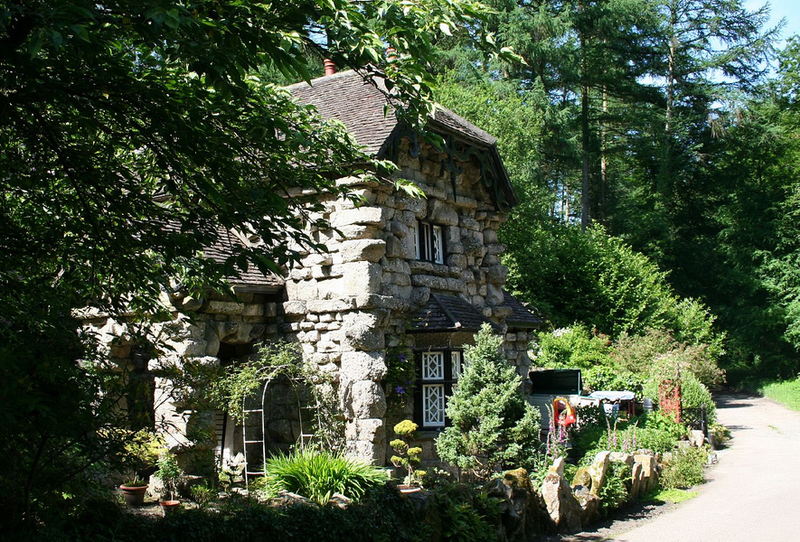 The cottage Mum and Dad had bought in Penygarn had been owned by the Hanbury family. It was one of three cottages in old Penygarn and the address was 1, American Gardens (sometimes referred to as Quarry Cottages). The cottages had been built on the edge of an old stone quarry and a large part of the old quarry was our garden which made a very useful area for keeping livestock and was an interesting place to play. The approach to the cottages was from the back as they had been constructed to face towards the fields. Before they built the houses in Penygarn the fields went right down to the Hanbury’s residence in Pontypool. If any visitor can shed any more light on the above please either email me or make a comment. I am wondering whether the address of 1 American Gardens refers to a house which, I understand, is very old and is known as “The Gingerbread House”, shown below.